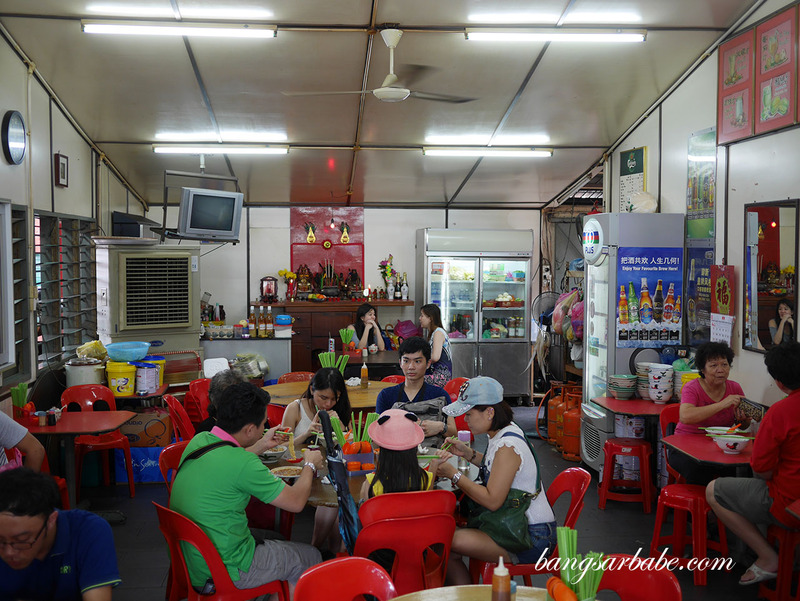 Ka Bee Café in Weld Quay, Penang is said to serve one of the best tom yam noodles in Penang Island, a claim that got me excited and eager to pay them a visit. 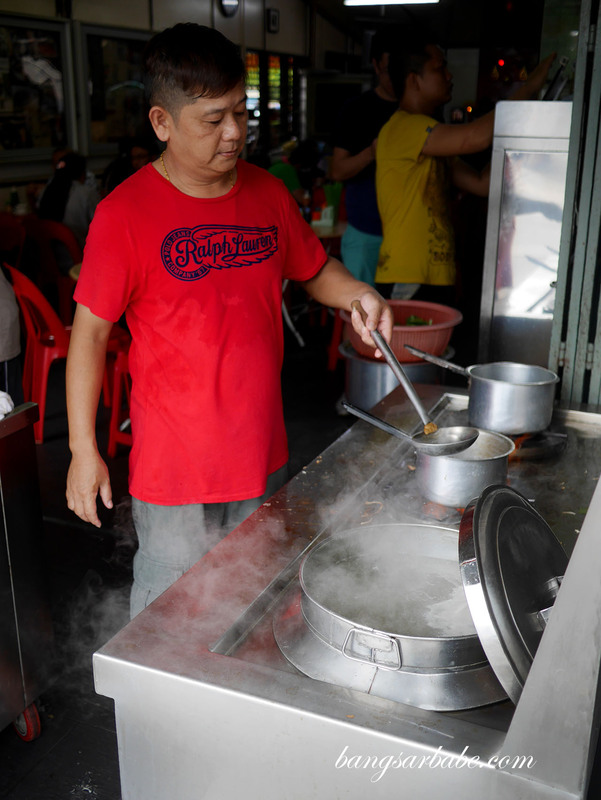 The shoplot is small and basic, but it is what they offer on the menu that matters – piping hot bowls of noodles and rice porridge, customizable according to one’s preference. English isn’t spoken much here; you have to rely mostly on Hokkien or Mandarin, both I happen to be hopeless at. But perseverance gets me somewhere and in this case, it yielded me piping hot bowls of tom yam and fish noodles. 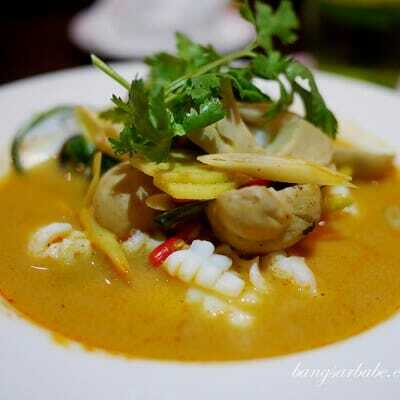 The former was really good stuff – spicy, sour and relatively thick, with a good aroma from the kaffir leaves. 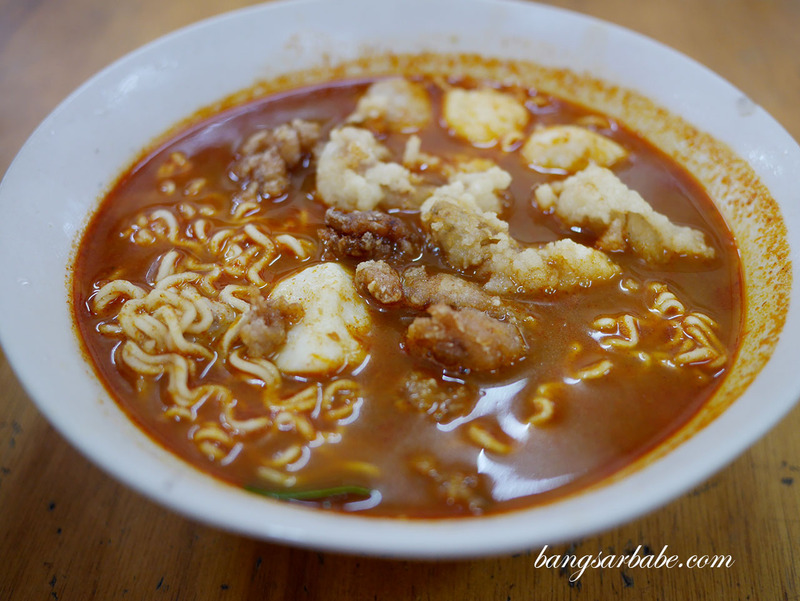 I added fried fish pieces, deep fried mantis prawns, fish balls and pork balls into the tom yam. 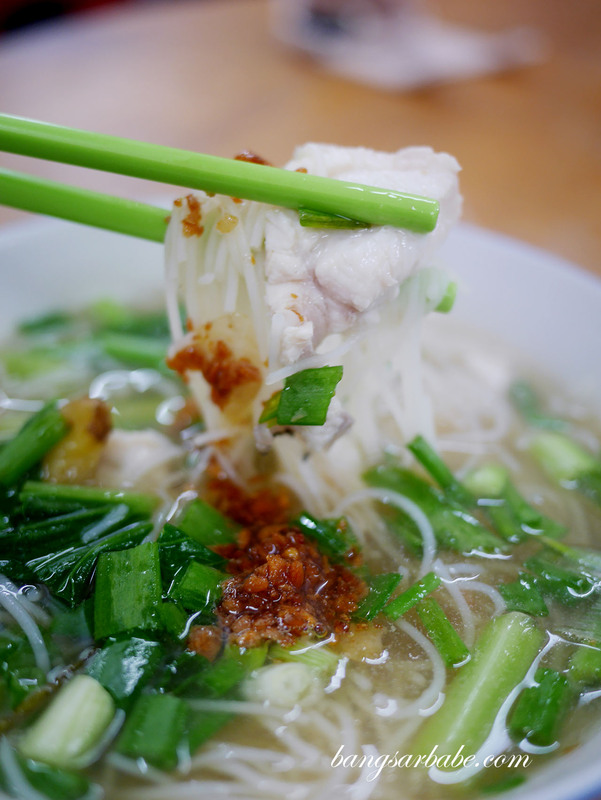 You get a few choices of noodles such as vermicelli, yellow noodles, kuay teow and instant noodles – the instant noodles seemed to be a crowd favourite and rightly so. This was cooked just right so the texture was still springy. 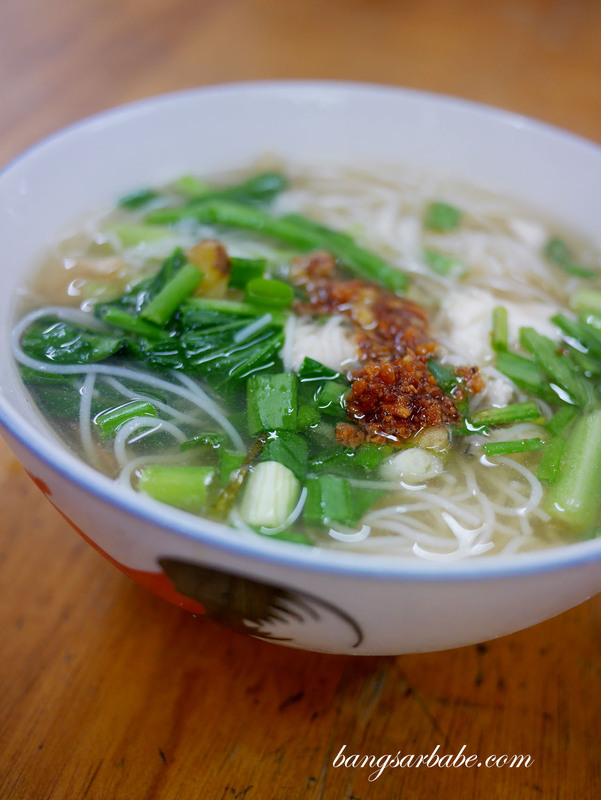 The fish noodle soup was also good stuff, where the broth was sweet from the stock and fish slices. I liked how they add deep fried garlic and oil, as this gave the dish a lovely aroma and flavour. 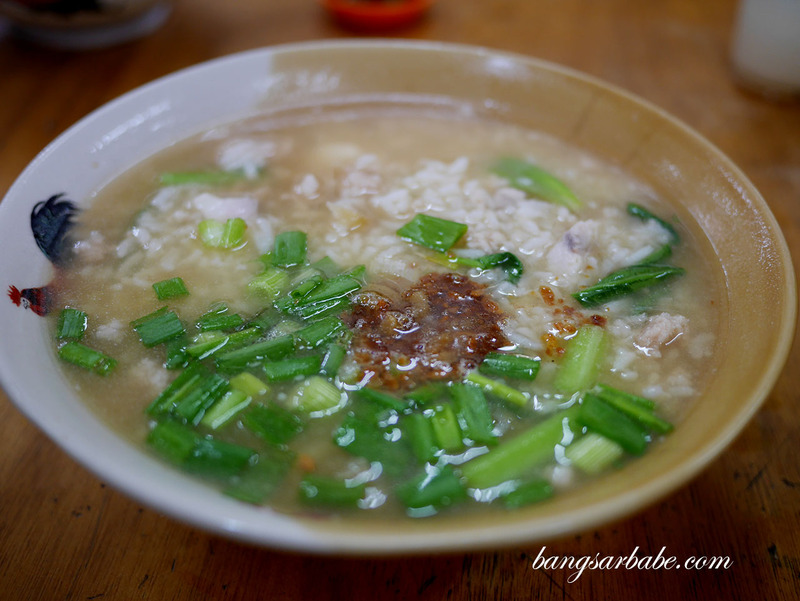 The couple at the next table had a bowl of rice porridge which looked and smelt terrific, so I ordered one to try. 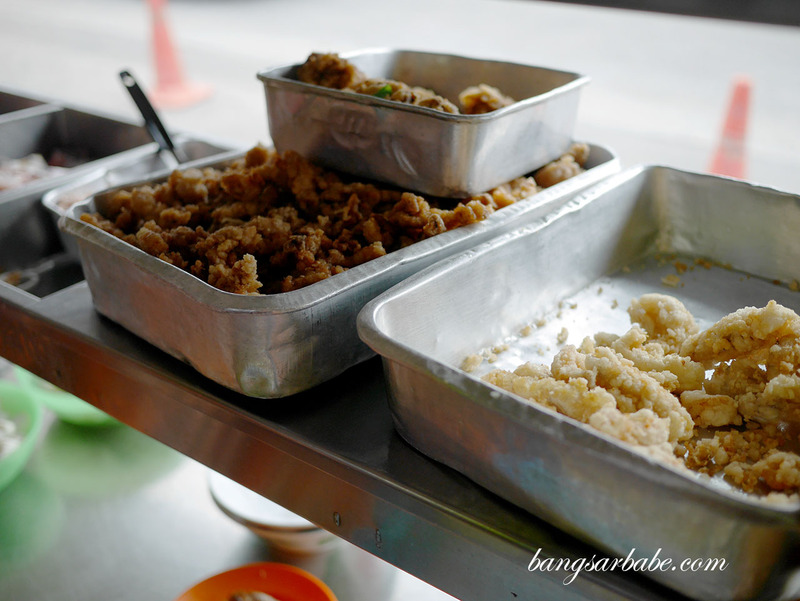 For this, I asked for minced pork and fish slices and it turned out to be a good choice. 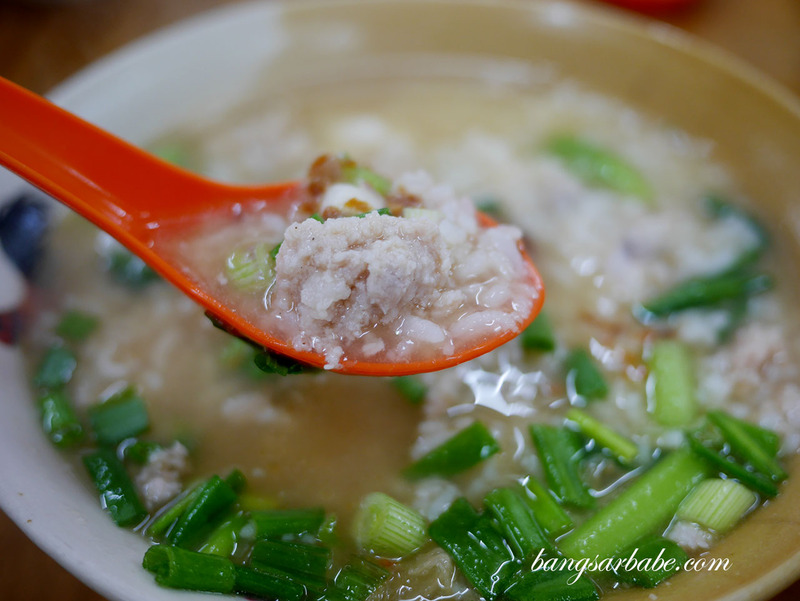 Both rif and I aren’t fans of porridge but Ka Bee’s version was delicious from the addition of meat, fish and fried garlic bits. 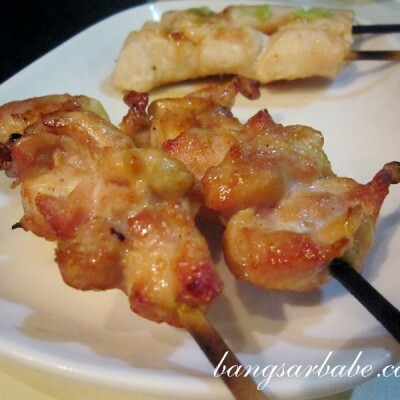 I wouldn’t mind having this again and maybe, with some large prawns for more oomph. 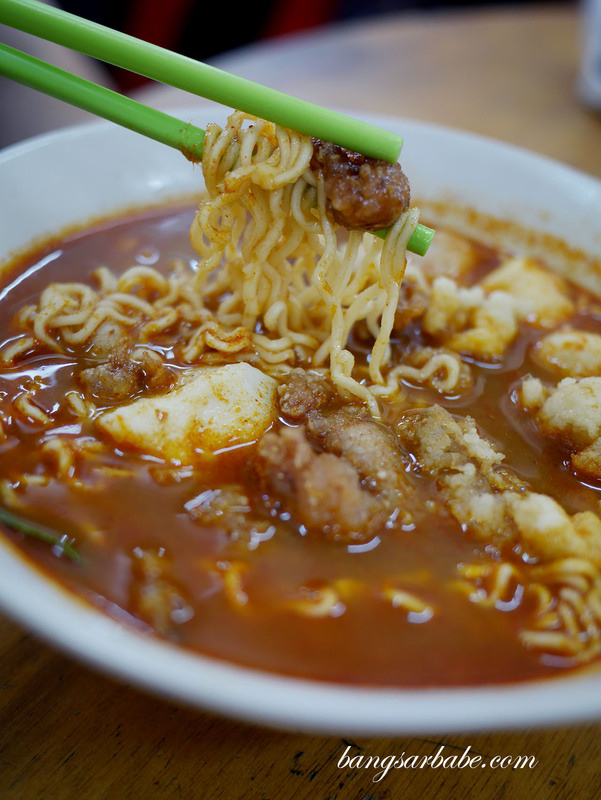 Verdict: I found the noodles pretty good, especially the tomyam. Give this a try when you’re at Weld Quay, but be prepared to fork out a sum if you opt for premium items.